The link to the Space Shuttle launch video. At 1:30 mark, three circular disks get torn away. It happens immediately after the engine ignition begins. Here is a cropped image of the Discovery after take off. Image source: Wikipedia page for Space Shuttle Discovery. These disks seems universal of all launches. What are they and why does this happen? What function do they serve? 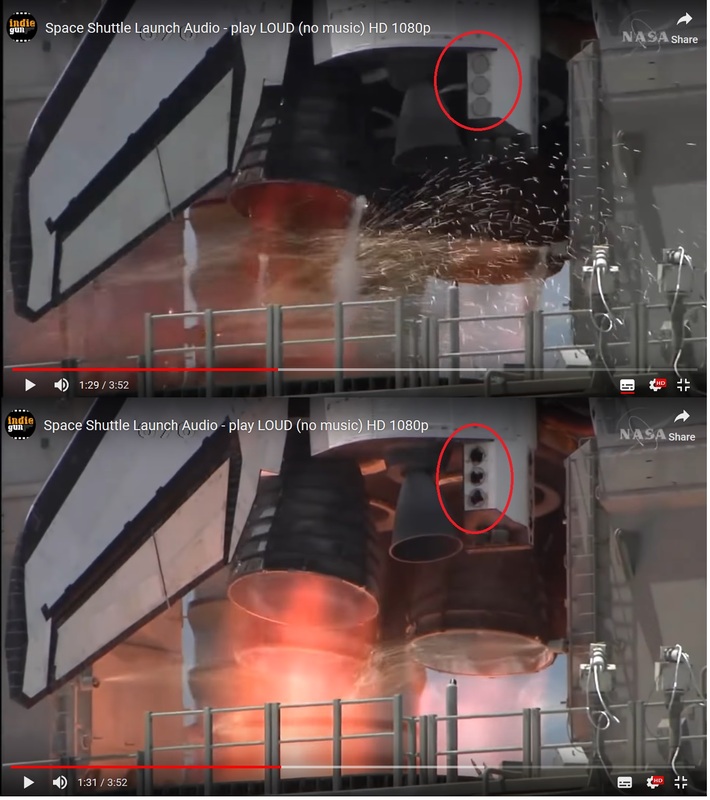 Those are covers on the RCS thrusters. They're on all the other thrusters too, to prevent rain etc. from getting into the thrusters. For most of the program, the covers were butcher paper. Towards the end, we switched to using Tyvek. The covers are designed to get blown off during launch. 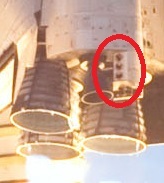 On the OMS pods, it's mostly done by the shockwave of the igniting engines. The RCS covers on the nose of the Shuttle get blown off by the air rushing over the shuttle after liftoff. Here is a cutaway drawing of the OMS pod. The shaded areas are part of the RCS. Not the answer you're looking for? Browse other questions tagged launch nasa space-shuttle or ask your own question.